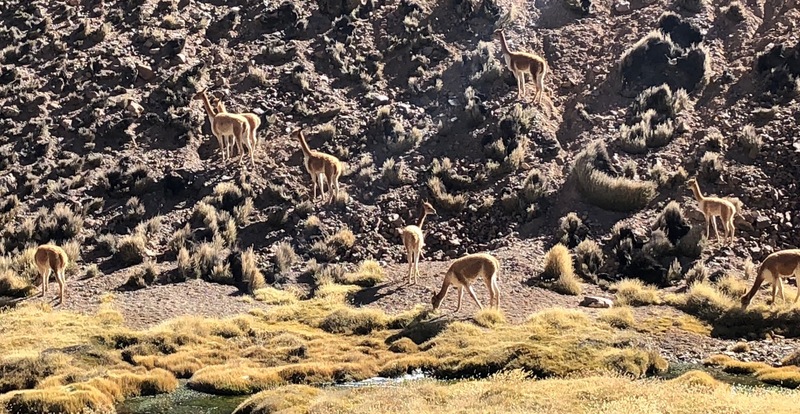 Before crossing to Bolivia we had to drive through Lauca National Park which has some of the most beautiful topography, animal life and vegetation that we had seen in all of the desert parts of Northern Chile. Despite very bright sun that kept us in our t-shirts inside the rig we had to put on our down jackets as soon as we went outside. The wind was so strong that it gave a feeling of frostbite. 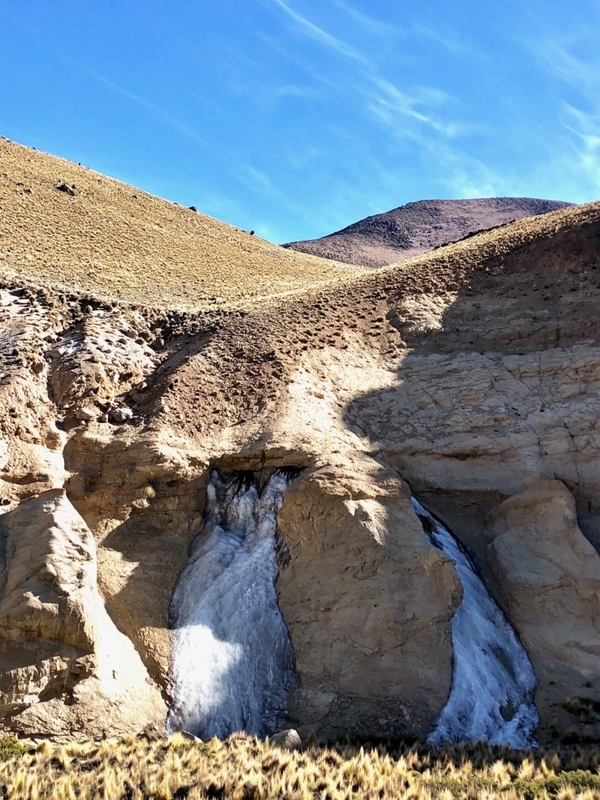 Frozen waterfalls and streams on both sides of the road further reinforced that feeling. 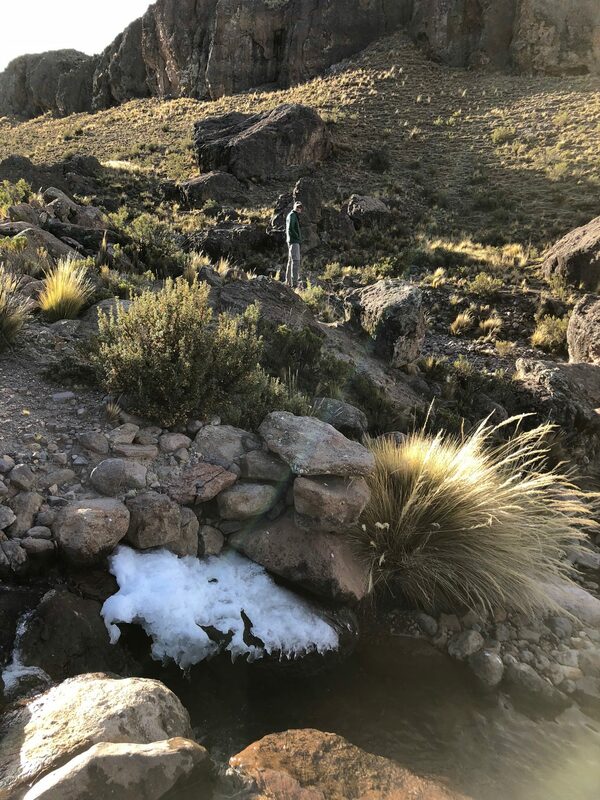 Lauca is located very high in the mountains, some of its points, for example Lake Chungará, are at 15,000’ (close to 5,000 m). At that point Aya and I started feeling really uncomfortable due to the altitude. 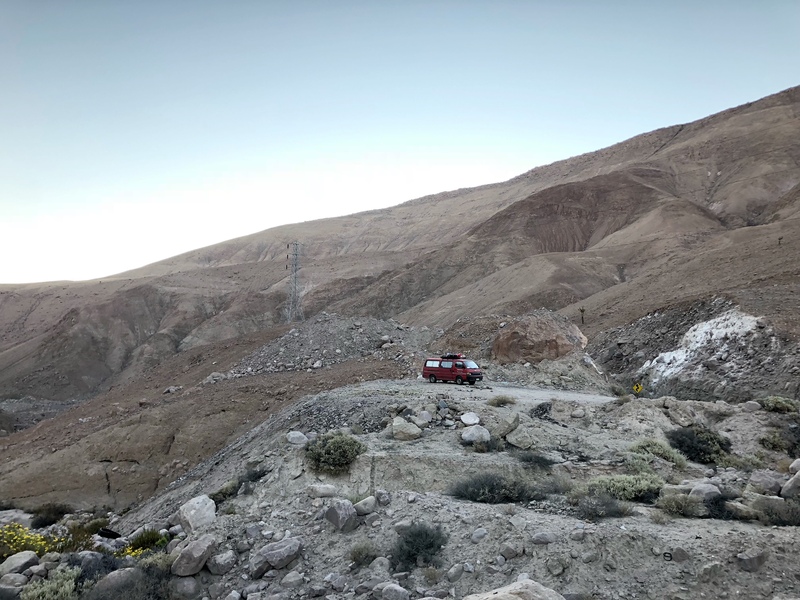 Unfortunately, there was also road construction at the highest elevation point in Lauca which caused a lot of dust, noise and hours of waiting for our turn to drive. 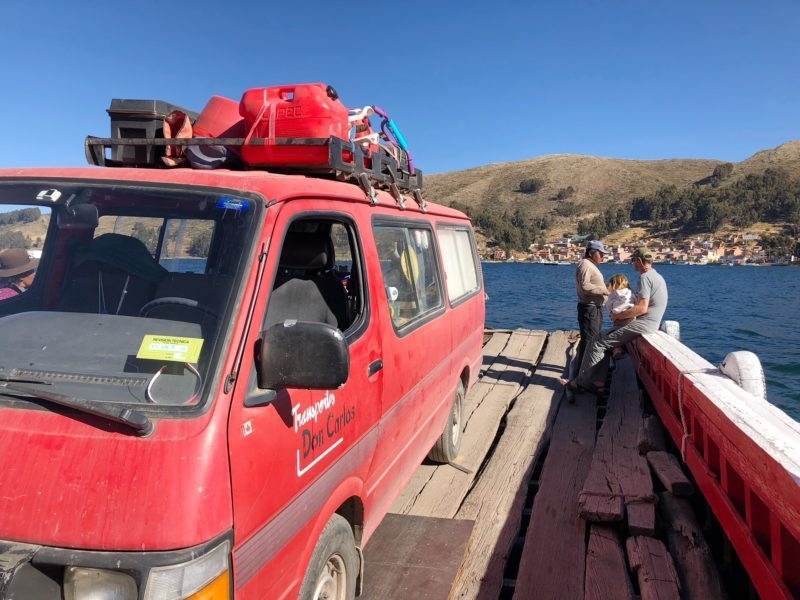 Luckily, seeing the volcanos, lakes and animals helped with the wait and eventually we arrived at the border crossing checkpoints for Chile and Bolivia. 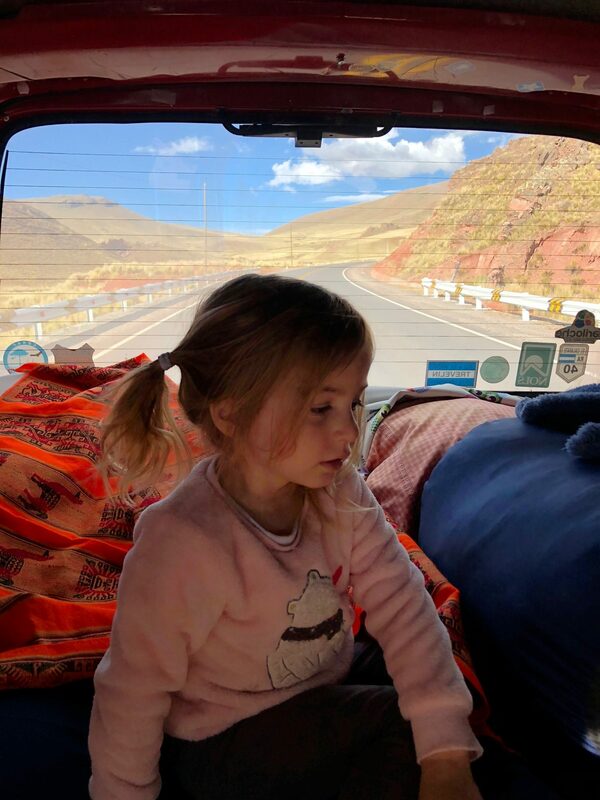 After over 3 hours of another bureaucratic nightmare we were granted access to Bolivia and found ourselves driving towards La Paz, giving rides to locals along the way. We actually ended up driving more than usual that day just trying to get to a town because we were low on gas and some of the food supplies. 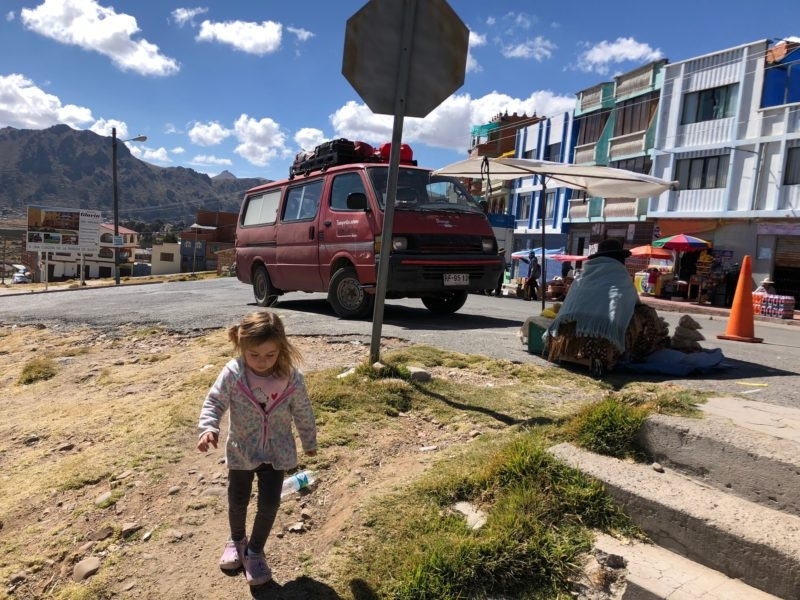 We got rid of or ate fruits and vegetables before the border, but that was unnecessary because no one bothered to check what kind of food was brought into Bolivia in our van. 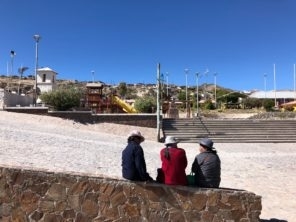 The first actual town in Bolivia that we reached was Patacamaya. 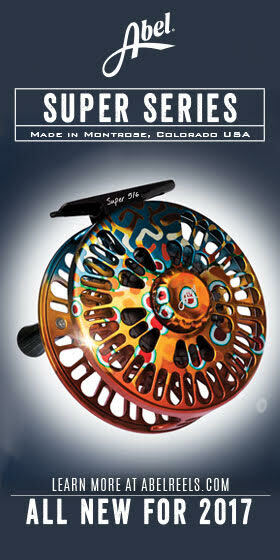 With the population of 8500 people and elevation of 12,500’ it is situated about 100 km south of the capital, La Paz. We filled our rig with gas and had to pay the foreign rate. 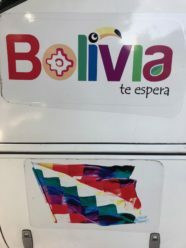 Apparently, foreigners in vehicles from outside Bolivia have to pay twice more than the locals. We also stopped by a market and a food joint which is difficult to even call a cafe, but we ate good food and were entertained by the kids of the lady who was cooking our meals. We parked for the night in one of the quiet neighborhoods and after putting on a few sets of pajamas, getting under a blanket and into our sleeping bags we tried falling asleep. It took us a while though, because as it turns out, one of the altitude sickness symptoms is insomnia. And that being mixed with cold weather (umm...my first time sleeping in below zero C temperatures) definitely turned into a mostly sleepless night for all of us. In the morning I developed a bad headache and knew that I was done with high altitude tourism for the moment. 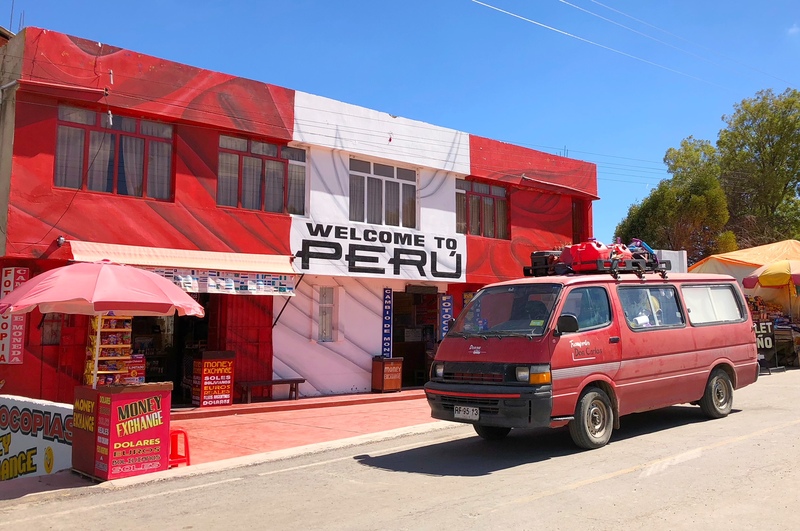 Patacamaya, however, was still below some of the elevation points we had to travel through before crossing into Peru and then getting to the Peruvian Pacific coast. Altitude pills known as Sorojchi Pills, which I also took when visiting Cuzco and Machu Picchu back in 2013, helped to alleviate my suffering, but I could tell Aya wasn’t feeling well either. We decided to drive through the high plains (altiplanos) as fast as we could, which still took us another 3 days. 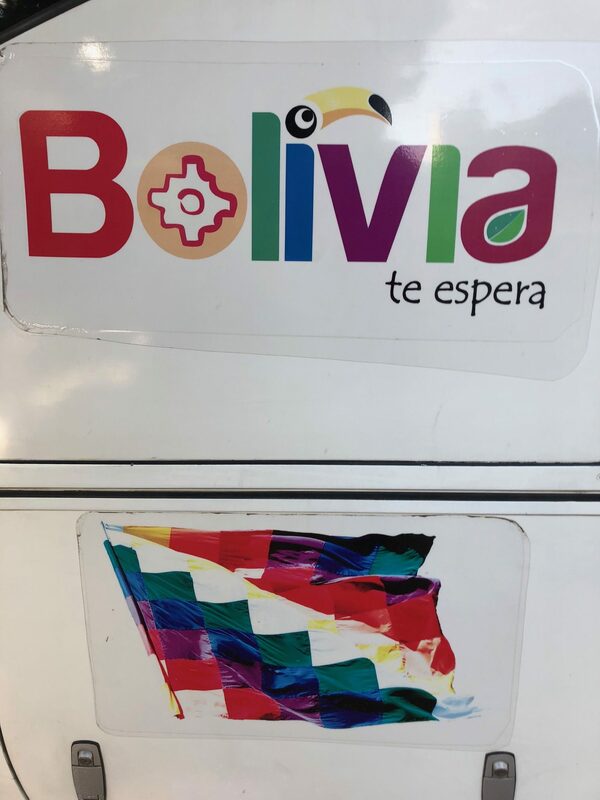 The second day of our trip in Bolivia was spent on getting from Patacamaya to Copacabana through La Paz, where traffic and people’s way of driving was just insufferable. 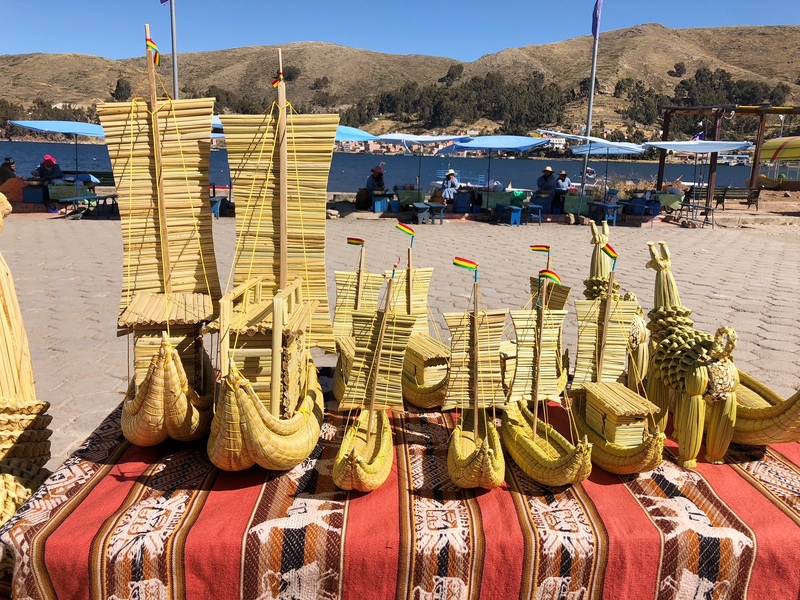 That afternoon we reached Lake Titicaca and arrived at the strait of Tiquina, where we had to take a local ferry together with our vehicle. 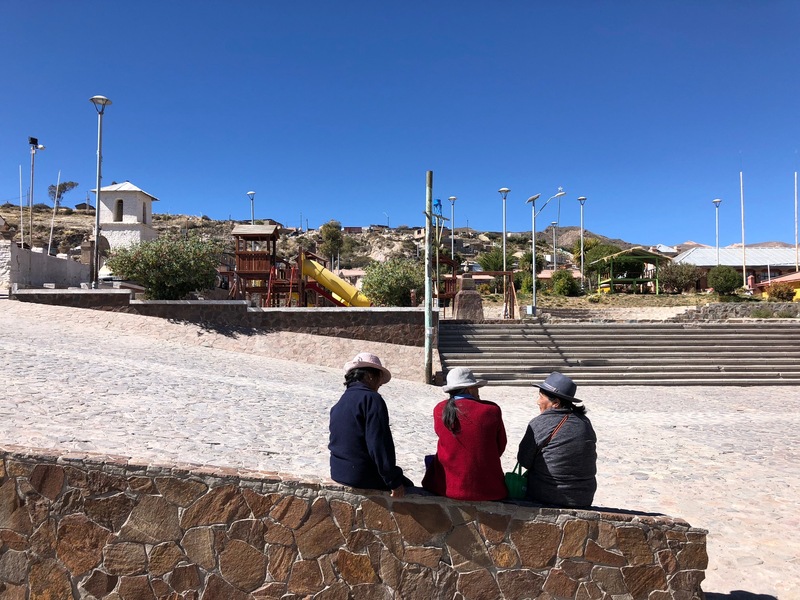 The area around the strait was very nice, filled with Bolivian ladies selling fried fish and other local delicacies that they cooked on the spot. Aya and I enjoyed our meal before getting on the ferry, which from its look made me feel like it was going to break in half as soon as our rig rolled aboard. But no! It handled two minivans and its passengers just fine. Copacabana seemed like a very nice and welcoming city and I would certainly have enjoyed it much more if not for the altitude. 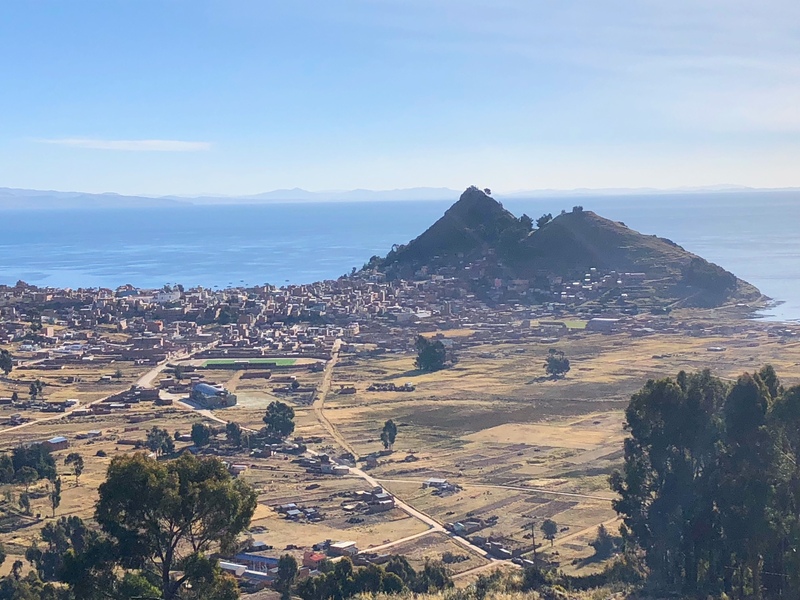 What helped a lot was seeing the size of Lake Titicaca which made it look like we were in a coastal ocean town. I guess I sort of associated that with sea level. 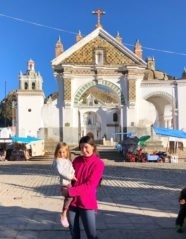 Copacabana has a cute downtown with the white colored Basilica de la Virgen at its heart. Next to Basilica is a town square with a fountain and a monument together with some local restaurants, markets, and numerous souvenir shops. I wasn’t up for sleeping another night in freezing temperatures, so we stayed in a hotel not far from the lake’s shore. 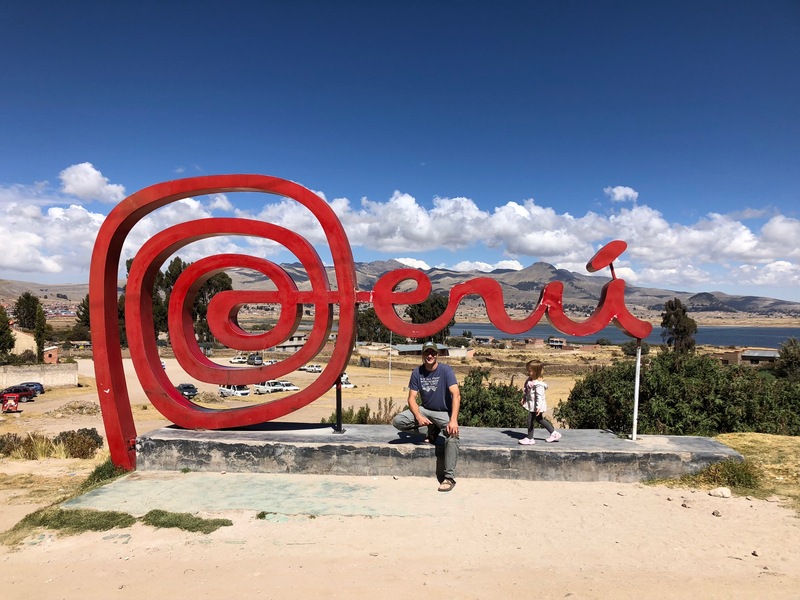 Next morning we did souvenir shopping, a little bit of sightseeing and exploration, and drove to a small village of Kasani right on the border of Bolivia and Peru. Checking out of the Bolivian side was very easy. We first went through the immigration check, followed by the aduanas/ customs and drove our minivan through an arch and arrived at the Peruvian side. The immigration and customs checkpoint was easy here as well, just lengthy, mostly because of the number of documents we had for the car. 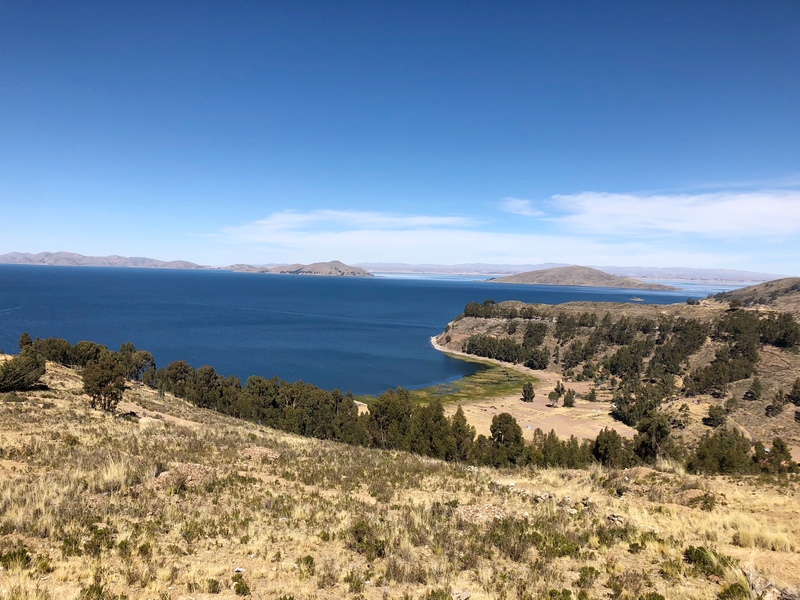 But in about an hour we were already driving on the high plains of the Peruvian Andes from Lake Titicaca to a town called Moquegua. 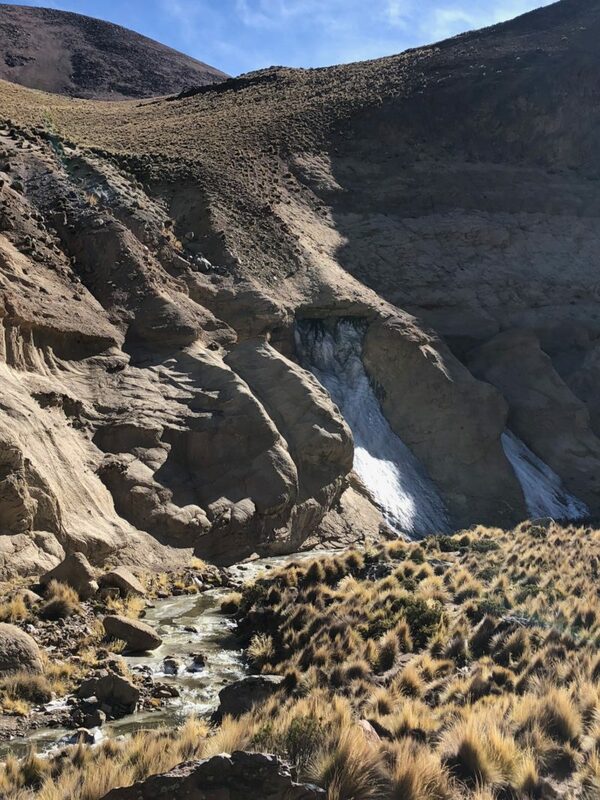 We didn’t reach Moquegua on the day we had originally planned. First, we had to gain more elevation over the course of 100 miles and then drive for about another 100 to finally start the descent. 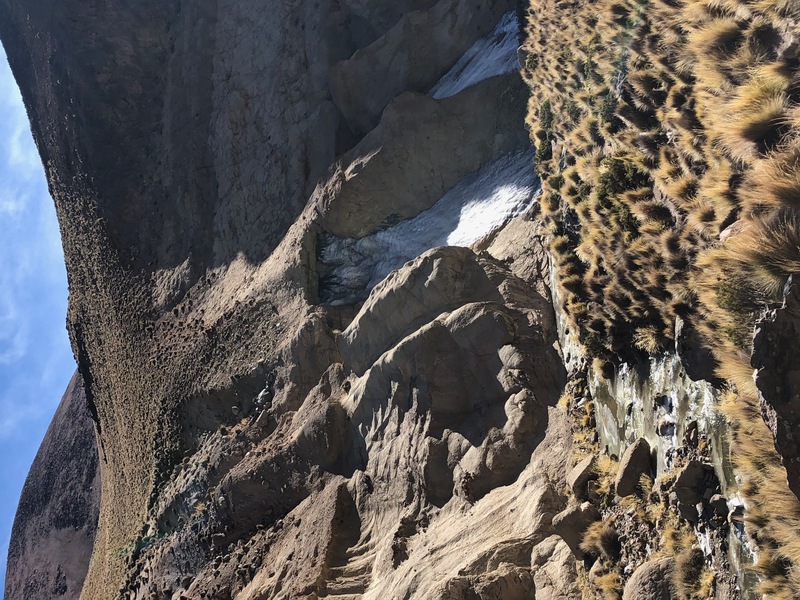 We stopped on the side of the road a couple of times just to take in the scenery of the high plains, to observe never- ending herds of lamas and alpacas, half frozen streams, lakes covered with pink flamingos (to our big surprise), and desert moon-like landscapes. The views were gorgeous, but we still could’t wait for lower altitude. We were checking the compass that tracked our elevation about every 3 mins. After passing the sign that read ‘elevation 4500 m' (about 14,800’) and literally climbing up another hill we finally started descending. Our ears kept popping and we were rocking side to side as the car was turning every 30 or so meters on the road with extreme curves. 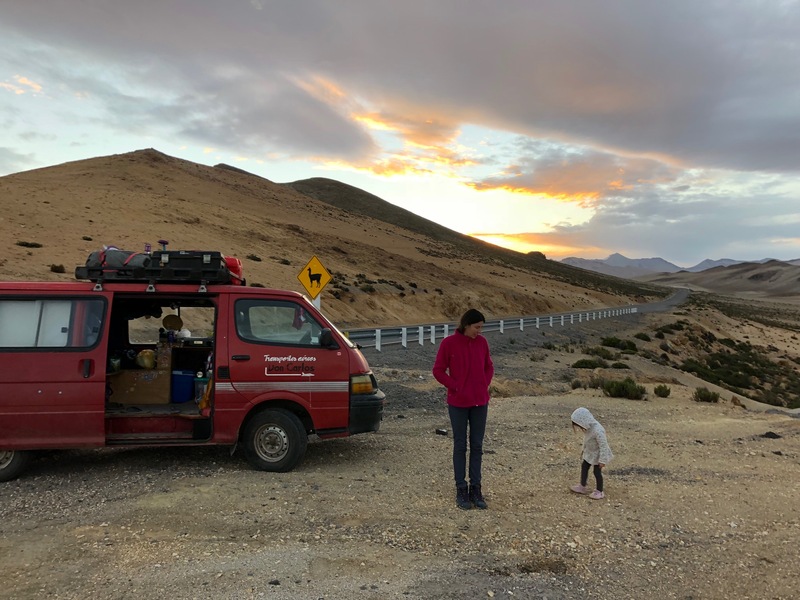 We were relieved when we finally got to 7,000’ of elevation not far from Torata District and went to sleep parked on the side of the highway. We were exhausted, not only from driving, but from constant elevation changes. And now we knew our tolerance with regard to travel in high altitudes. 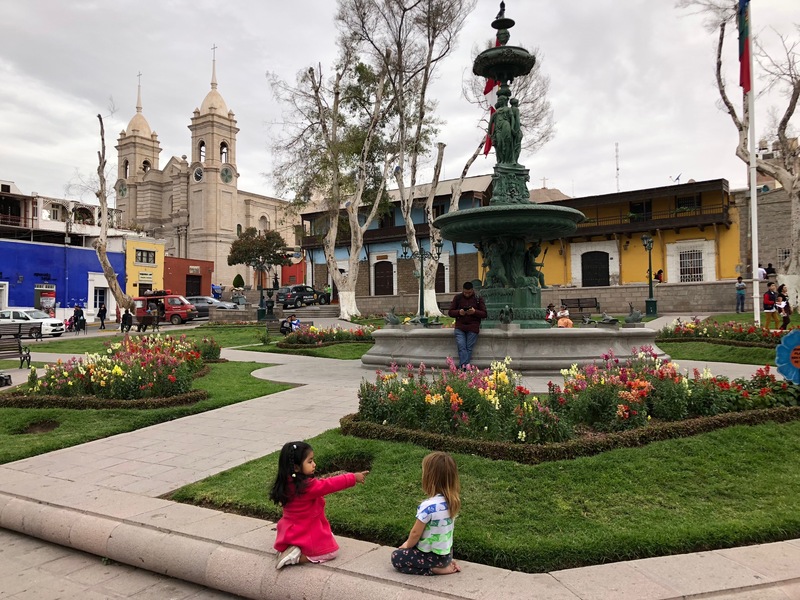 Moquegua has a few nice plazas and parks, where Aya ran with local kids. Every time I am standing at a plaza with a fountain, multiple flowers, trees, benches and sometimes baroque architecture around it, I start missing Europe. Practically every evening these plazas are filled with people of all ages who are socializing and not just staring at their phones. 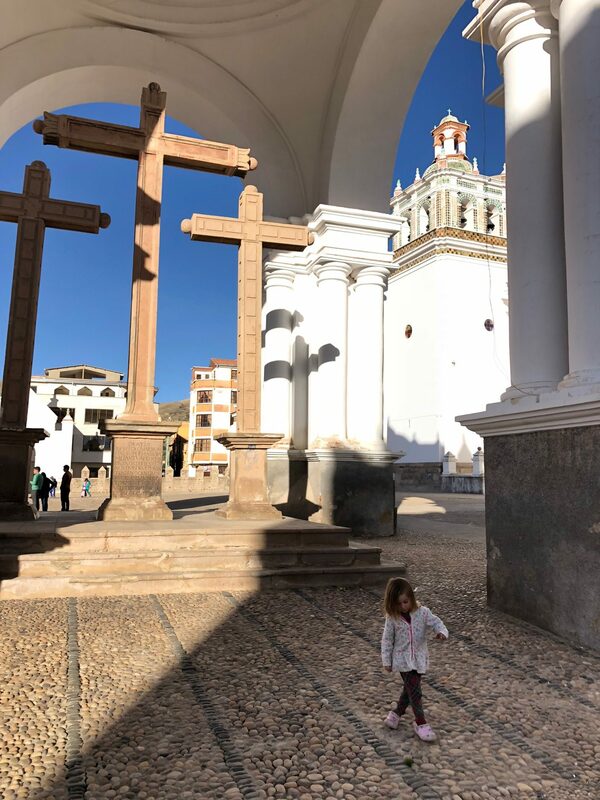 The only place in North America where I recall seeing many plazas and squares was in Savannah, GA, and I think that the US cities could definitely benefit from having a few more. In Moquegua we also visited a big supermarket called PlazaVea which is a cross between American Target and Wallmart. 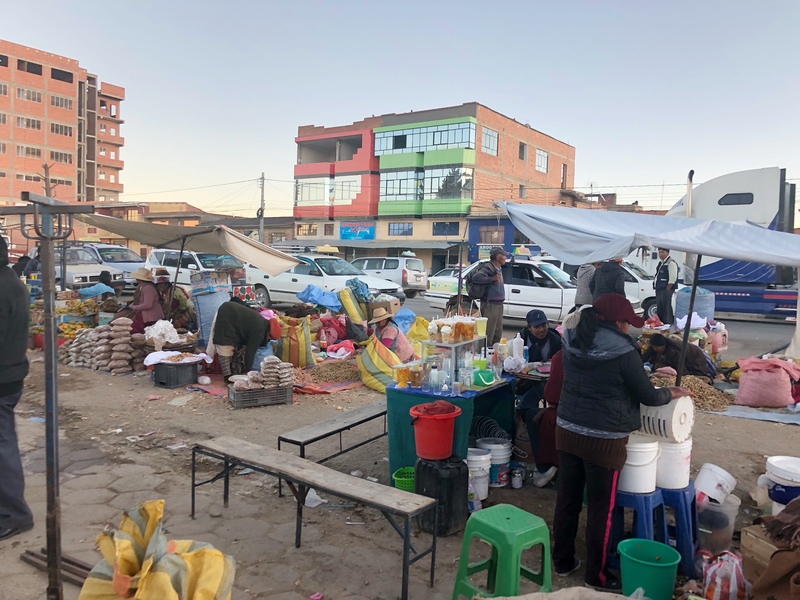 It was very pleasing to find the diversity of tropical fruits and Andean vegetables and the variety of other foods compared to Bolivia for the prices that were half as much as what we paid in Chile. In two more days we reached the Pacific Coast and began our drive towards Lima, visiting coastal towns along the way.